We've re-balanced the final chapter of the game. The final Bellower battle has been tuned to be more fair on Normal difficulty settings, and there are more opportunities for obtaining supplies and items in Chapter 6. 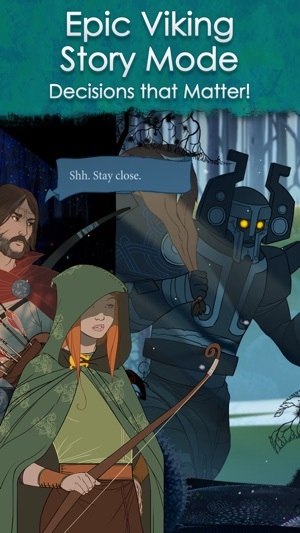 Banner Saga 1 has been updated to the latest version of the engine technology, and quite a bit of cleanup has happened under the hood. 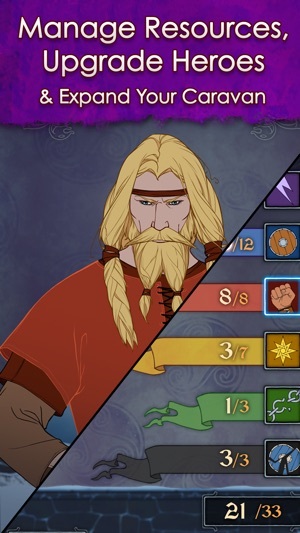 A few of the improvements seen in Banner Saga 2 have been incorporated into this build. Added adjustable 'UI Scale' to help readability on smaller devices - go to device's Settings App and use the UI Scale slider. -on stat banner, buffs, and items. Increased loot drop chance for winning the second wave of a battles. Varl that join the caravan after the Godstone in chapter 3 now have supplies. Added a slider setting for scaling the UI larger or smaller. Disable the Quit Game button in options for the iOS builds. 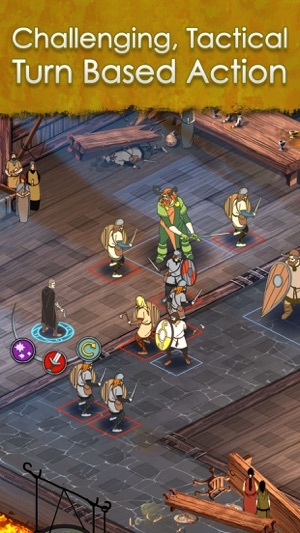 Fixed an issue with the battle HUD elements so they scale up/down with other UI. Added message for when players have iCloud disabled. Fix for scaling of subtitles. Fix for Backbiter champion using Dagr's appearance. Add 'Buy TBS 2' function to start page. Changed the link for rating the app. Fix bad quotation marks in Polish text. Reduce max memory used by heraldry. Set anim compression values to those used in saga 2. Should fix a bunch of memory-related crashes. 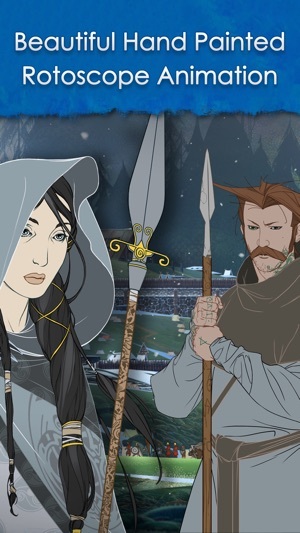 Experience an unforgettable tale of humans, gods, and Viking lore, presented as a wondrously intricate tactical roleplaying game. 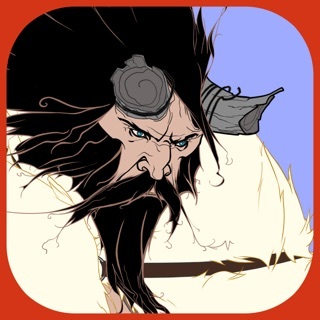 Beneath Banner Saga’s arresting hand-drawn graphics and stirring music lies a world where decisions matter—where conversational choices affect the plot and beloved characters can be lost forever in brutal turn-based battles. 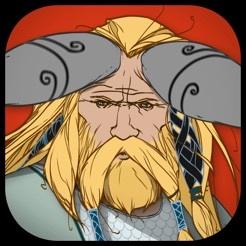 Within minutes, we were deeply invested in this fascinating realm, but a lengthy campaign full of action and surprises makes the journey captivating all the way through. 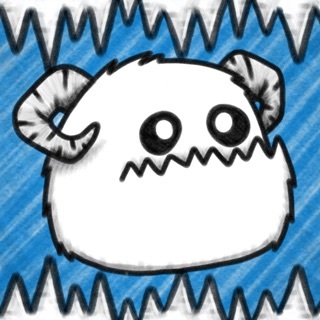 Hello @HeavyShevy! 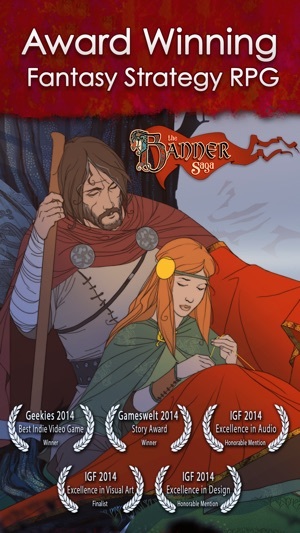 Thanks for taking the time to share your feedback about Banner Saga. We are sorry to hear you found spelling errors - we thought we had caught all those. Please send any bugs or errors you find to support@stoicstudio.com so we can get those fixed. As for the story decisions, many do have branching consequences, but not all. I'm sure you can imagine how complex it would be (and unwieldy to design) if every decision had branching options. So we make many decisions have different outcomes but some take you to the same story-advancing or plot-moving place. How you get there, however is up to you and the flavor should vary widely. If you have played a few times you'll understand that you *can* have widely-varying outcomes. 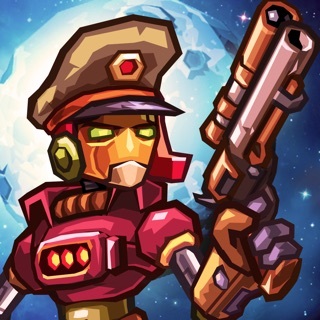 We really do appreciate these ideas you have to improve it and hope you'll play the sequels, too.